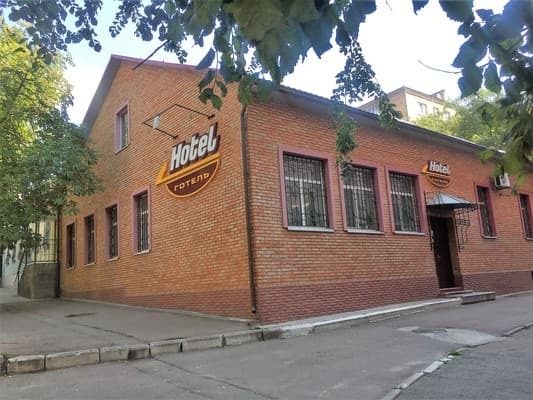 Hotel "Hotel" is located in the heart of the city, two blocks from the main square of Kirovograd. The hotel has 8 comfortable rooms. 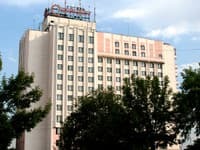 All rooms of the Hotel are equipped with comfortable furniture, a TV, a refrigerator, and a private bathroom. Free Wi-Fi access is provided. There is a cafe on site, where guests can eat. The distance to the train station is 2.4 km, to the bus station - 4.4 km. Description of the room: Room with double bed, equipped with everything necessary for comfortable accommodation. 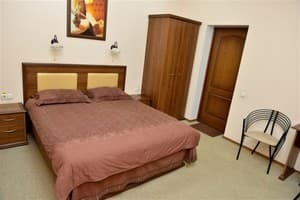 Description of the room: Room in bright colors, equipped with a double bed. 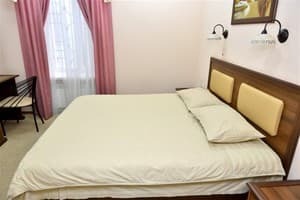 Description of the room: Spacious room with one double bed. Description of the room: The room is made in bright colors, equipped with two single beds. Description of the room: Spacious room with one double euro bed. On the territory of the hotel "Hotel" there is a cafe where guests can eat. Breakfast is included in the price. 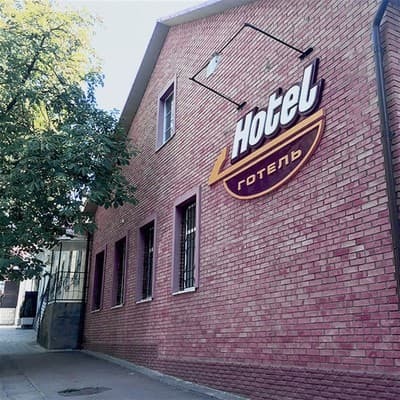 Hotel "Hotel" is located in the heart of the city, two blocks from the main square of Kirovograd. The distance to the train station is 2.4 km, to the bus station - 4.4 km. The train station can be reached by taxi No. 17.3.